"I'll open up your heart..." "You'll find Jesus there," the boy interrupted. The surgeon looked up, annoyed "I'll cut your heart open," he continued, to see how much damage has been done..."
what to do next." "But you'll find Jesus in my heart. The Bible says He lives there. The hymns all say He lives there. You'll find him in my heart! The surgeon sat in his office, recording his notes from the surgery, "...Damaged aorta, damaged pulmonary vein, widespread muscle degeneration. No hopes for transplant, no hope for cure. Therapy: painkillers and bed rest. Prognosis:, " here he paused, "death within one year." you've cursed him to an early death! Why?" flock, and will forever be. 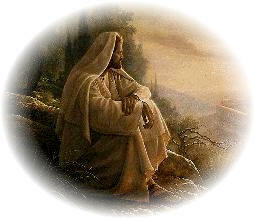 Here, in my flock, he will feel no pain, and will be comforted as you cannot imagine. His parents will one day join him here, and they will know peace, and my flock will continue to grow." boy, and you created that heart. He'll be dead in months. The Lord answered, "The boy, my lamb, shall return to my flock, for He has done his duty: I did not put My lamb with your flock to lose him, but to retrieve another lost lamb!" The surgeon wept! The surgeon sat beside the boy's bed; the boy's parents sat across from him. The boy awoke and whispered, "Did you cut open my heart? "Yes," said the surgeon. "What did you find?" asked the boy. Author Unknown - Celebrate Jesus in 2003 !